During a recent speaking engagement at the D.I.C.E. 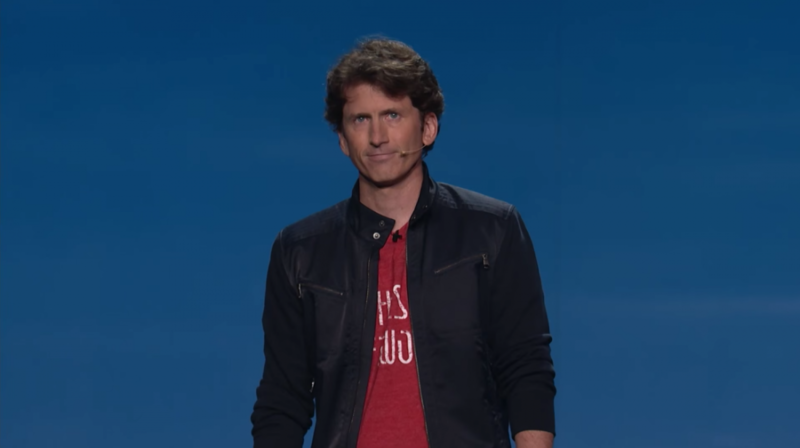 Summit in Las Vegas, Bethesda executive producer Todd Howard said the company is currently working on three long-term projects that are completely different than anything they've put out to date. Howard, who will receive the Lifetime Achievement Award at next month's Game Developers Choice Awards, said the games are big and crazy Bethesda-style games. Unfortunately for fans, he declined to elaborate further and instead said the company will talk about them at a future date. In the meantime, Bethesda has plenty to keep itself – and fans – busy for the foreseeable future. Earlier this week, the studio published a roadmap detailing the first three expansion packs for the popular action role-playing game. Automatron, Wasteland Workshop and Far Harbor are slated to launch over the next few months and we're told that additional DLC is also in the pipeline. The extra content prompted Bethesda to increase the price of its season pass from $29.99 to $49.99 although anyone that buys it before March 1 can lock in the cheaper rate. In related Fallout 4 news, Howard hinted that there's at least one cool secret in the game that players have yet to find (to the best of his knowledge, anyway). Naturally, Howard didn't spoil the surprise but did say that it is related to a terminal.